Recently, the big zombie epic oral history novel written by Max Brooks (son of Mel Brooks) was having difficulty being financed. This is even with Brad Pitt set to star and Marc Forster (Finding Neverland, Monster’s Ball, Quantum Of Solace) set to direct. Well this just in, there are three companies that are wanting to invest in the film. I hope there are some successful negotiations in the near future to get this project off the ground. The most common roadblock for this film not getting financed is everyone is thinking and saying that there are too many zombie films nowadays. Ummm Not the case. There aren’t enough zombie films out. Plus this is way different than any of the others that have come out. 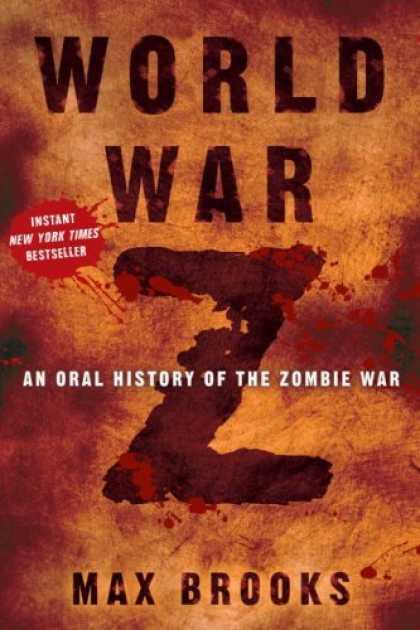 Max Brooks’ book is very scary and a whole lot of fun. Brilliant. Let’s get this ball rolling studio. This entry was posted on Thursday, March 31st, 2011 at 12:49 am	and is filed under Film, News. You can follow any responses to this entry through the RSS 2.0 feed. You can skip to the end and leave a response. Pinging is currently not allowed. « Hunter S. Thompson’s Rum Diary Finally Gets A Release Date!!! !